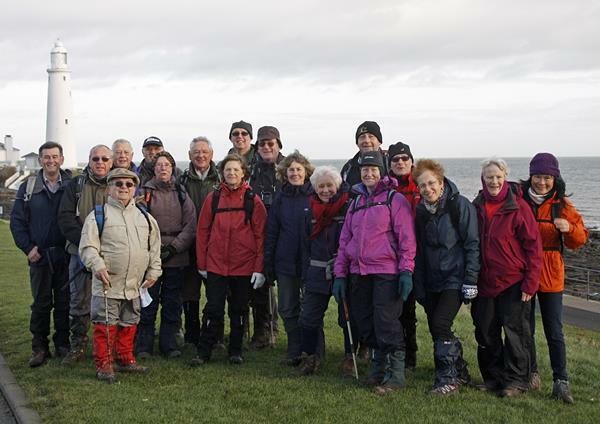 Ramblers groups help people enjoy walking and protect the places we all love to walk. Most groups organise regular walks – a great way to get outside, make new friends and discover how walking boosts your health and happiness. You’re very welcome to try walking with us, or to get involved in looking after paths and green spaces and opening up new places to explore. 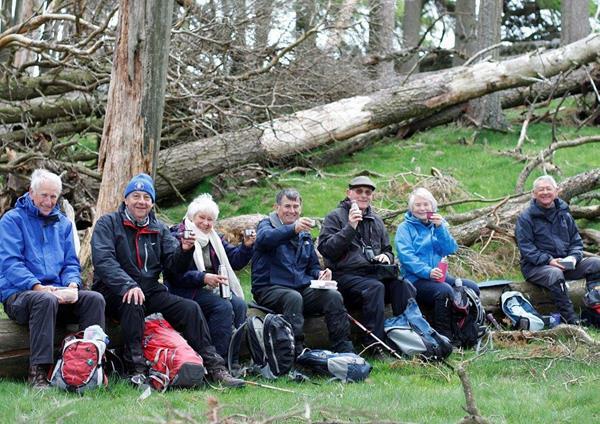 Ponteland Group offers walks on alternate Sundays and on the second and fourth Wednesday of each month. Walks are mostly circular with car sharing (if required) from the meeting point to the start of the walk. Sunday walks range from 7 to 9 miles and always include a picnic stop. Wednesday walks range from 5 to 8 miles and sometimes offer the option of a pub lunch after the walk. Secretary - Stephen Edwards Tel. 01661 886310. Wednesday Group - John le Rolland Tel. 01661 825408. Meeting Place - Sundays - Merton Way South Car Park, Ponteland. Wednesdays - Thornhill Road Car Park, Ponteland. Wednesday walkers appreciate the Fiddlers Green memorial sculpture. Under the cloudless blue skies that we have become accustomed to in 2018, some of our Sunday group study the architecture of Halton Castle. Members of Ponteland, Hexham and Alnwick groups try not to look stony faced at Malham Cove during their weekend away in the Yorkshire Dales. Sunday walkers above Causey Burn heading for the arch. Plenty of mince pies, not much walking. A Sunday walk high above Akeld Burn with Harehope Hill and Gains Law in the background. Sadly, no-one in this group is called Heather. 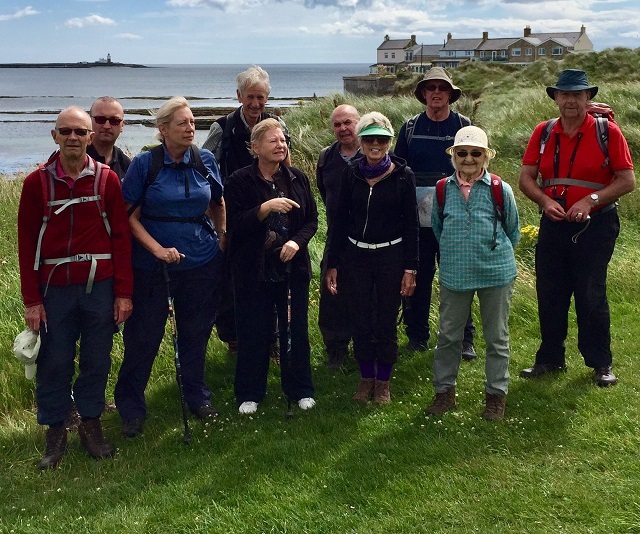 Our Sunday group on a walk around Amble and Low Hauxley. If you visit this area then the tea room at the NWT Reserve at Low Hauxley is recommended. 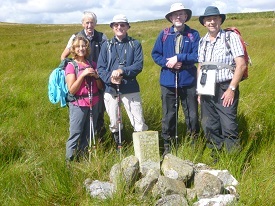 Wednesday walkers at Nellie Heron's memorial near Alnham. 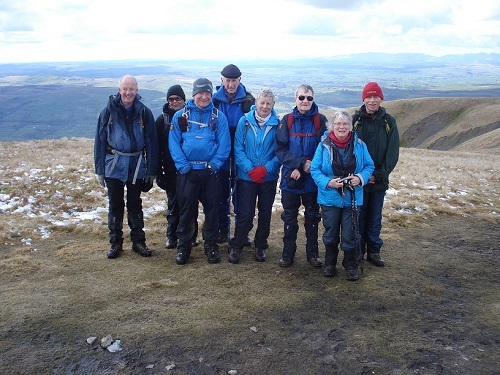 Members of Hexham and Ponteland groups bask in some spring sunshine on their weekend away in The Lakes. 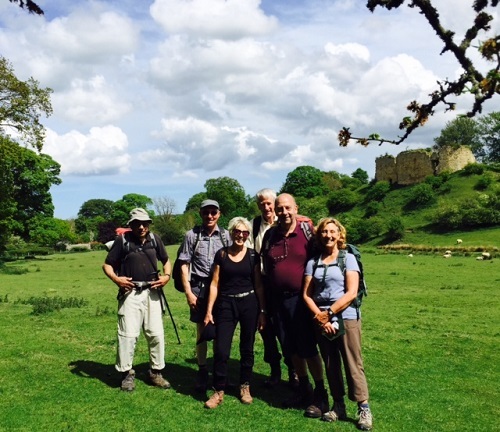 The Sunday group soak up the sun near Mitford Castle. A lunch stop with a view and a convenient fallen tree, what more could the discerning rambler ask for? Some of the Wednesday group pause to admire the geographical phenomenon that is Beldon Cleugh. Members of Hexham and Ponteland groups atop The Calf on our weekend away in Sedbergh. Our Sunday group by the River Wansbeck. This walk was originally scheduled for a December day when, to stand at this point, would have required SCUBA equipment. Our hillwalkers spotted at the summit of The Cheviot. Our Wednesday group at St Mary's Island building up an appetite for an excellent lunch at The Beehive, Earsdon. 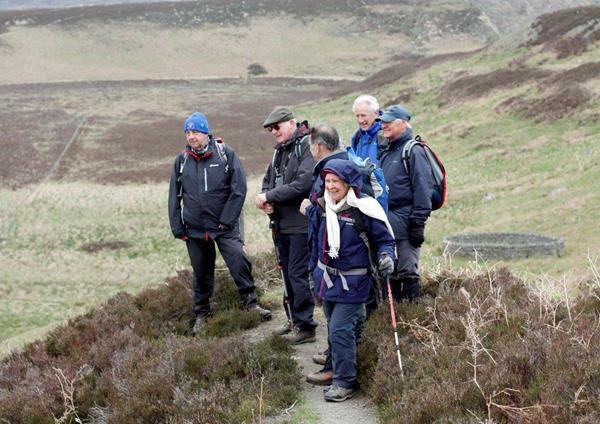 Join the Ramblers and become a member of Ponteland Group. Sunday Walks Programme February to July 2019.